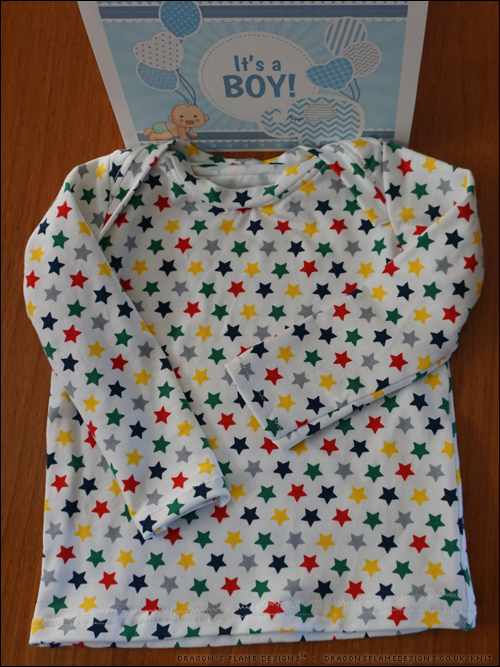 I hardly ever make baby clothing, but when a neighbour was expecting I decided it was a good excuse to try out a Patterns for Pirates free pattern to make a tee. I will admit I made several mistakes in the sewing, most of which came about because it’s a much smaller size than I’ve ever sewn before! 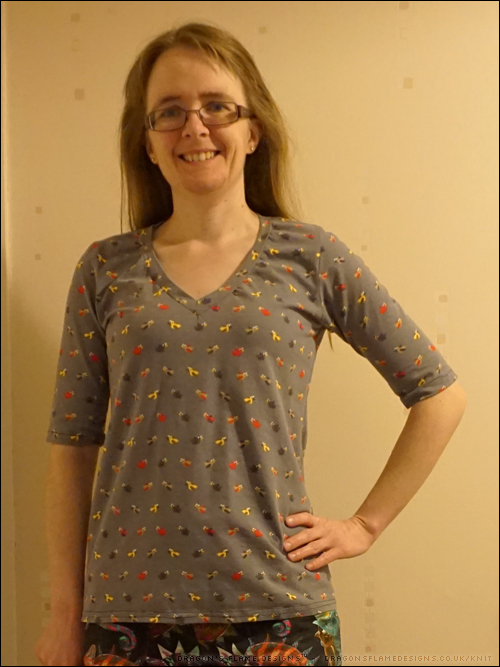 The lap part of the tee (where the back panel laps over the front) isn’t quite sewn into the seams fully… but it’ll be perfectly wearable until the little’un grows out of it! And of course, I had to make a card to go with it. I just hope the tee fits little J! 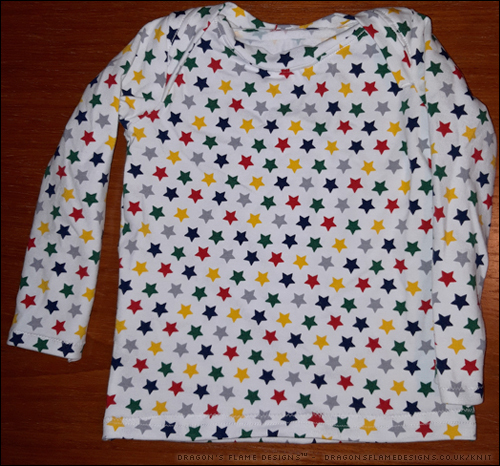 This entry was posted in Clothing, Sewing and tagged baby, clothing, P4P, Patterns 4 Pirates, Patterns for Pirates, sewing, Wee Lap Tee on December 4, 2018 by Sewist. Why do jeans always go wrong? 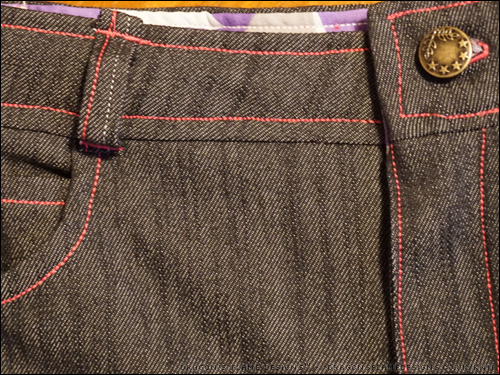 The front of my latest Dawn Jeans came out near enough perfect – the front left lines up with the front right, and the button hammered in exactly straight. However, when it comes to the back, it all goes wrong! 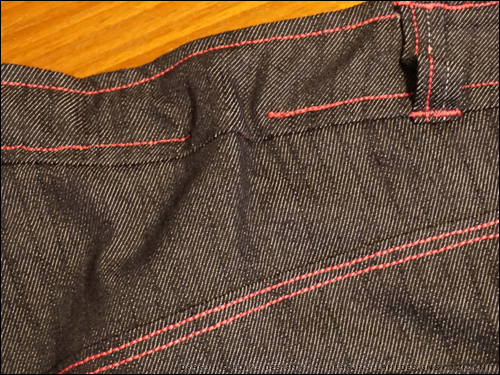 In top stitching the waistband down, I seem to have a bunch of denim, but no corresponding bulk for the waistband lining. Of course I thought it was a good idea to top stitch using a triple straight stretch stitch, which is one of the most challenging stitches to unpick. So before I reach for the seam ripper, does anyone have any hints or tips for the best way to unpick my mistakes? 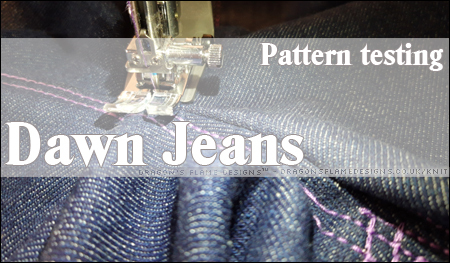 This entry was posted in Clothing, Sewing, Uncategorized and tagged classic, clothing, Dawn jeans, denim, jeans, Levi, Megan Nielsen, pattern testing, sewing, stretch denim, topstitching, traditional, Vintage on November 20, 2018 by Sewist. 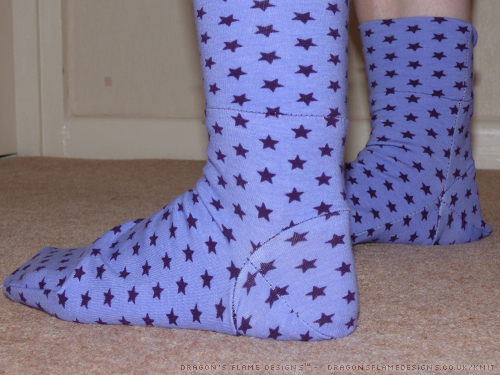 If you were to tell me a couple of months ago that I would have made a pair of socks, I’d have jut laughed and pointed out that I never got the hang of knitting in the round… it wouldn’t have dawned on me that sewn socks were even a thing! But they are, and I’ve tried making a pair! The front looks quite accurate, but I think I need to work on the heel insert a little more – the base of the heel looks quite rectangular to me, although that could just be down to the recipient’s feet not quite being the same size as the socks! 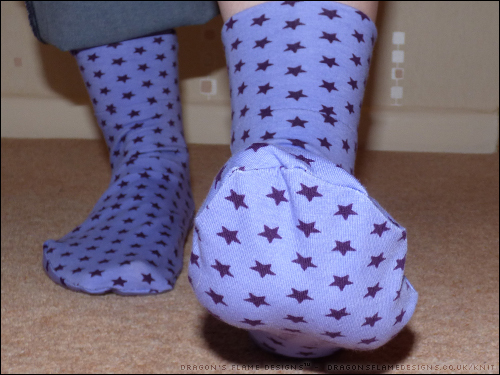 My next pair will be without the heel insert, to see how comfortable that is – I don’t usually wear heel-less socks, but if they’re comfy then it’ll be a much faster sew! 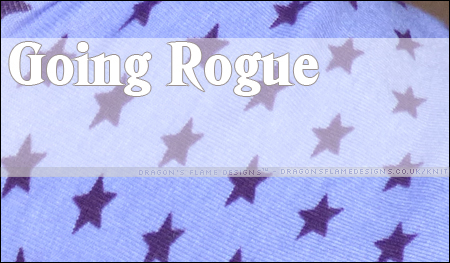 This entry was posted in Clothing, Sewing and tagged going rogue, sewing, socks, The Wolf and the Tree, TWT on November 6, 2018 by Sewist. I was lucky enough to be chosen as a pattern tester for the amazing Megan Nielsen Dawn Jeans and couldn’t get my fabric prepared fast enough! The Dawn Jeans come with four options – tapered, straight, wide, and shorts. 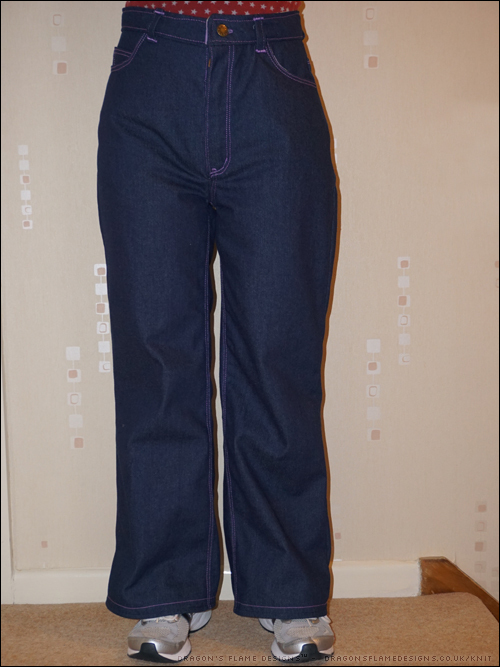 Originally I was going to make the shorts, but decided in the end to try the wide leg jeans. These jeans are meant to have a vintage feel – kind of classic Levis, so I chose some reasonably heavy denim which had a slight give rather than any real stretch. 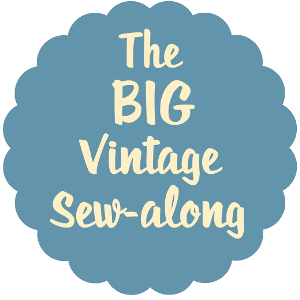 As I mentioned on Tuesday, I don’t use topstitching thread – I know, dreadful isn’t it! 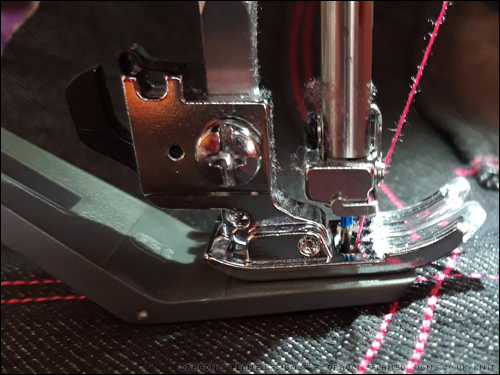 When I bought my sewing machine, the shop manager enlightened me that if you use particular stitches, you can get the effect of topstitching without needing to invest in specific thread. 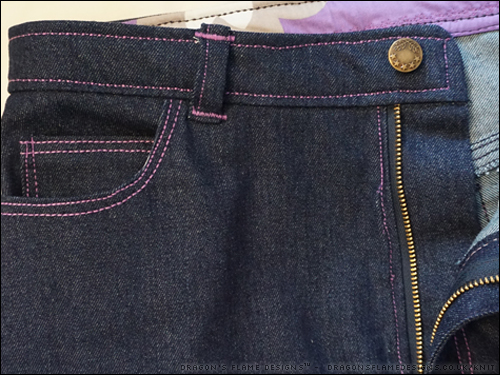 I prefer the look of the triple straight stretch stitch out of the options I have, and it means I can liven up my jeans without needing to buy in lots of specific thread too! Dawn is drafted with a high waist, which I didn’t alter at all. It actually hits at a comfortable level for me, despite being only 5′ 1″, which meant I didn’t have to try and work out any alterations – yay! Strictly speaking, the inner waistband is meant to be denim, but I was trying to squeeze these jeans out of a metre of fabric, so I only had enough for the outer waistband! I also didn’t have quite enough for a proper hem, so I added some bias binding around the raw edge to prevent it from fraying, before sewing the hem. 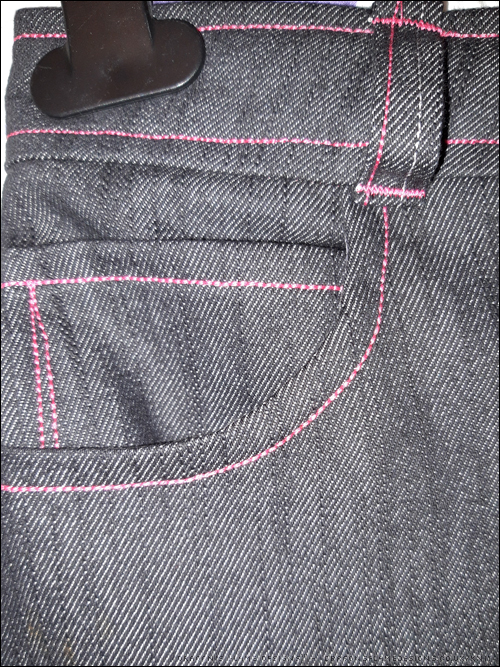 I also stitched lower down on the hem in a matching thread, just to make it a bit stronger. I took in the width by a few inches on the legs, as they were a bit too wide for me! But overall, these jeans are a great fit, didn’t require much alteration other than the width (and that’s down to personal choice anyway), and I’m just waiting for the weather to get a little cooler now, so I can wear them! One pair made, but why stop at just one? Buoyed on by my success with those, I decided to try a straight leg pair. 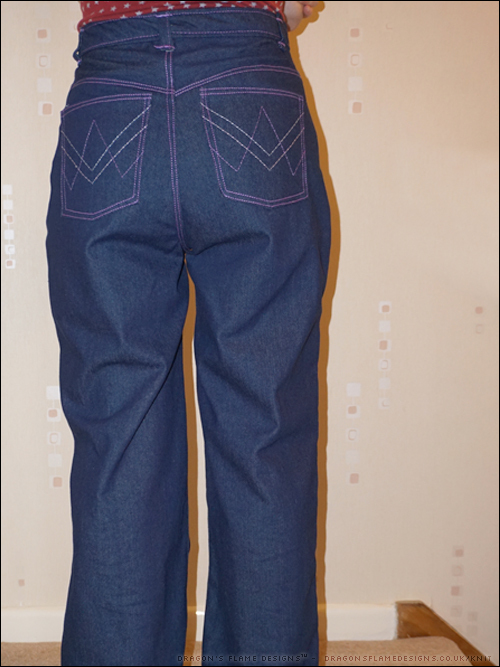 These are made from a lighter weight stretch denim, but I’ve stuck with the same size as my previous ones. I did have a bit of a disagreement with the button when it came to hammering it in place, but other than that, these are also really comfortable! I wanted to do something different with the pockets on these, so this is actually glow-in-the-dark embroidery thread! 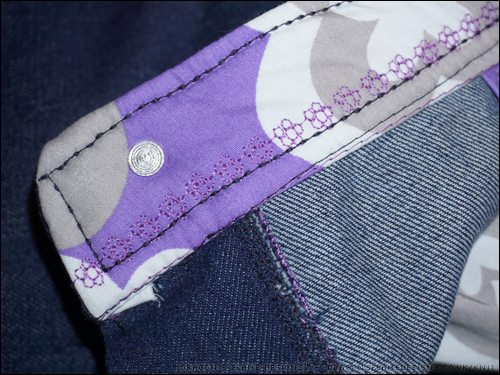 I had a semi-disaster with the interfacing I’d put on the back of the pocket – I managed to melt it over the iron – so I added a lining to the pocket, to hide the gummy interfacing and also to prevent the stitches getting caught on the inside. 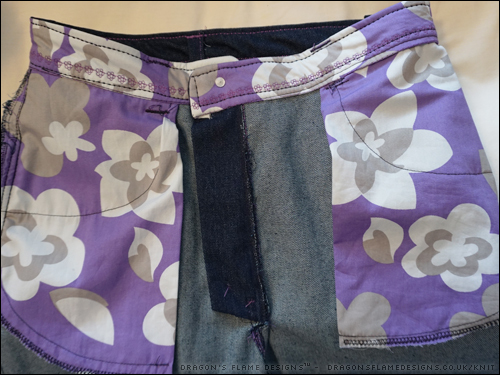 Again, I used the same fabric for the pocket bags and inner waistband, but this time I doubled up on the inner waistband fabric to make it stronger. 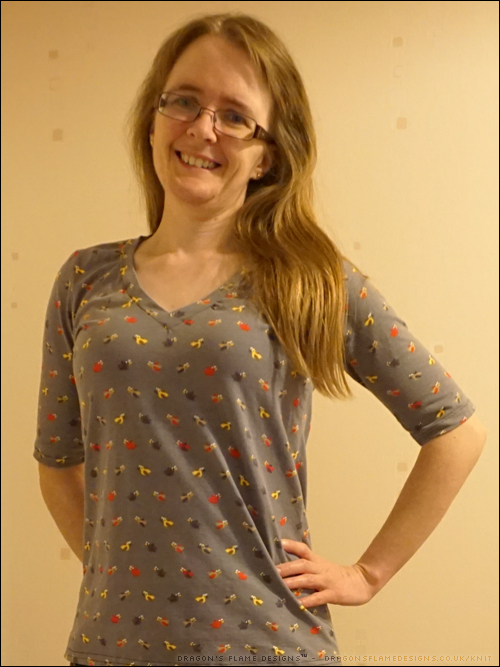 No modelled photos of these yet, as they’re still in the UFO stage until I can get the hem measured and stitched! 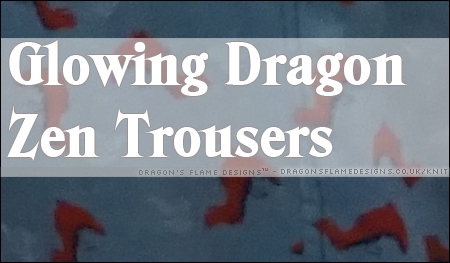 I doubt I’ll be making a tapered-leg pair, as that isn’t a style I wear, but I’m planning on making some shorts for next summer if I can find some lighter weight denim, or maybe a linen blend fabric! So what are you waiting for? 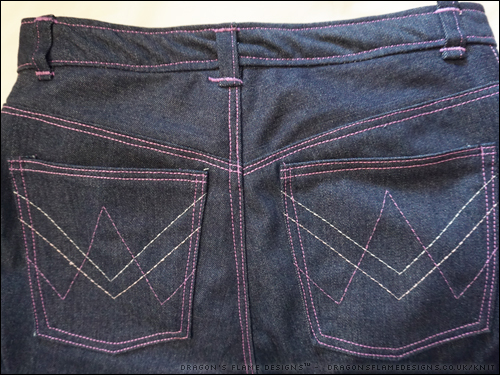 Head over to Megan Nielsen, and check out the Dawn Jeans! 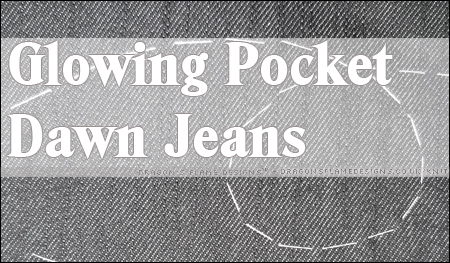 This entry was posted in Clothing, Sewing and tagged classic, clothing, Dawn jeans, denim, jeans, Levi, Megan Nielsen, pattern testing, sewing, stretch denim, topstitching, traditional, Vintage on November 1, 2018 by Sewist. 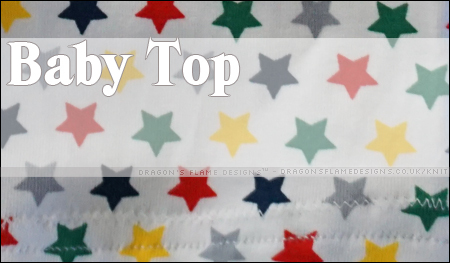 In preparation for an amazing pattern release later this week, I thought I’d share a quick video I made for how I tackled the topstitching over a bulky seam. I use regular thread, and a straight stretch stitch for strength… well, it also looks pretty good too! 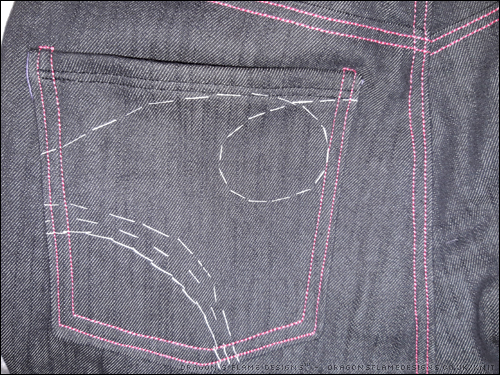 But going over a bulky seam is a bit of a nightmare if those stitches don’t come out straight, so how do you do it? You could just a piece of folded fabric, or maybe some thick folded card – they’d both give the same result. But I’m using the button shank plate (which I’ve also seen called a Jean-a-ma-jig) that I got as a special deal from the shop when I bought my machine.. Normally the button shank plate is £8, but I’ve seen Jean-a-ma-jigs for about half that, so it’s worth looking round for a good price! 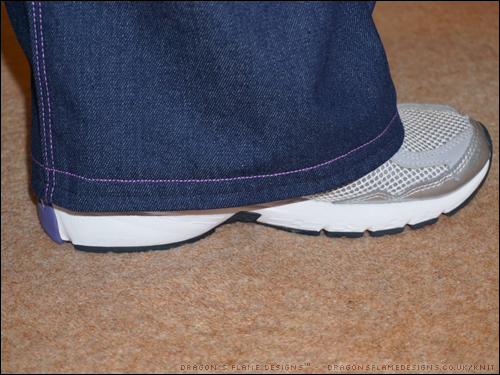 Sew as normal just to the point where the foot starts to lift at the front, as it tries to climb over the bulky seam. 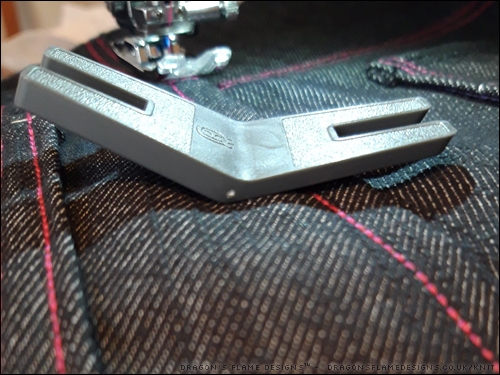 For my button shank plate, there’s a thick side and a slightly tapered side (on the right in this photo). With the needle down, lift the foot, and gently push the tapered side under the foot at the back. Lower the foot again…. 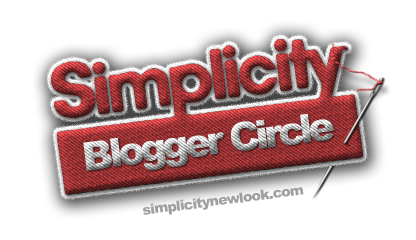 ….it should now look like this! 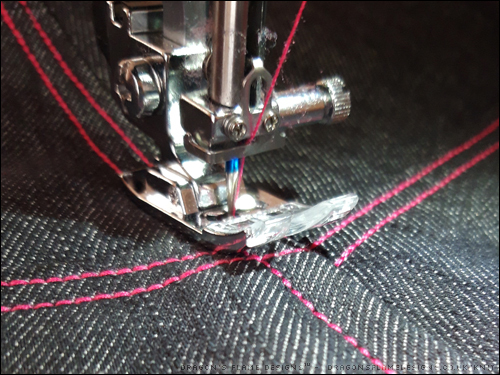 Slowly sew – you may need to use the hand wheel, depending on your machine and the thickness of your fabric! Once the machine has stitched past the bulk, you can remove the button shank plate from the back. Because that probably sounds way more complicated than it actually is, here’s a quick video of the button shank plate in action. 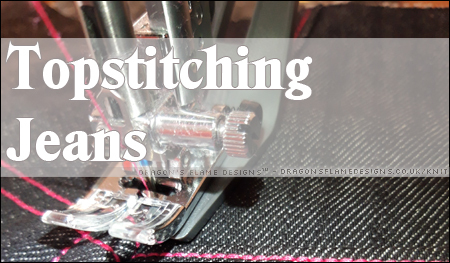 I hold it in place to start with simply because I’m using a triple straight stretch stitch – that goes backwards on every third stitch, and I wanted to make sure my needle didn’t hit the plastic plate! 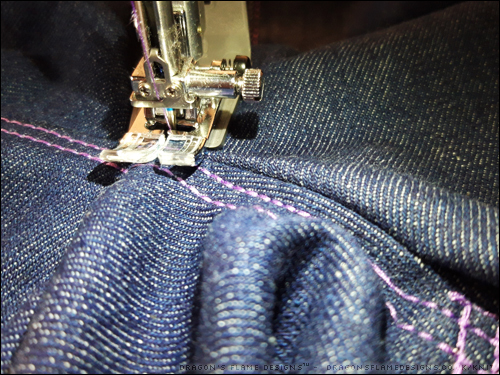 And there you have it – a little tip to help get topstitching to work over those bulky jeans seams! 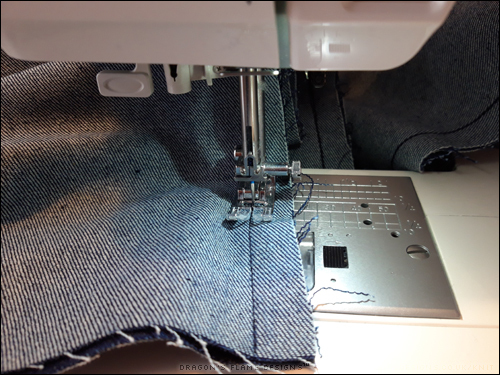 This entry was posted in Clothing, Sewing, Tutorial and tagged clothing, jeans, sewing, topstitching on October 30, 2018 by Sewist. 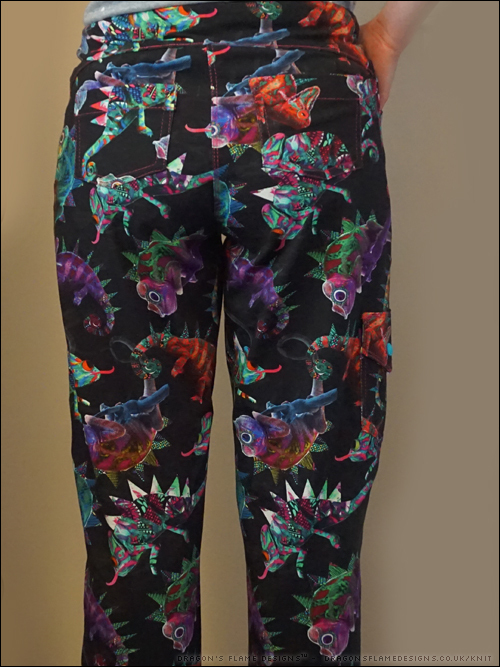 Picking another random item from my UFO pile, these glowing dragon Zen Pants* are my latest finished item! 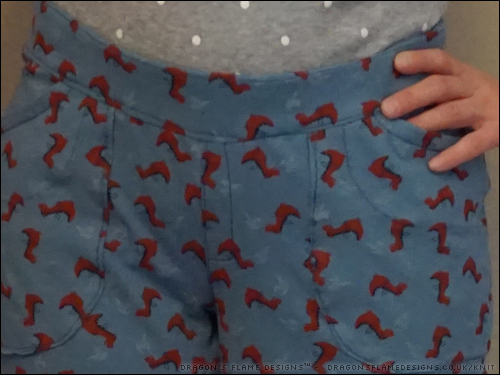 I made exactly the same mistake I did with my Chameleon Zen Pants* and ended up with a slightly wavy waistband yet again. I really need to figure out the best length of elastic to use, so I don’t make that mistake again! 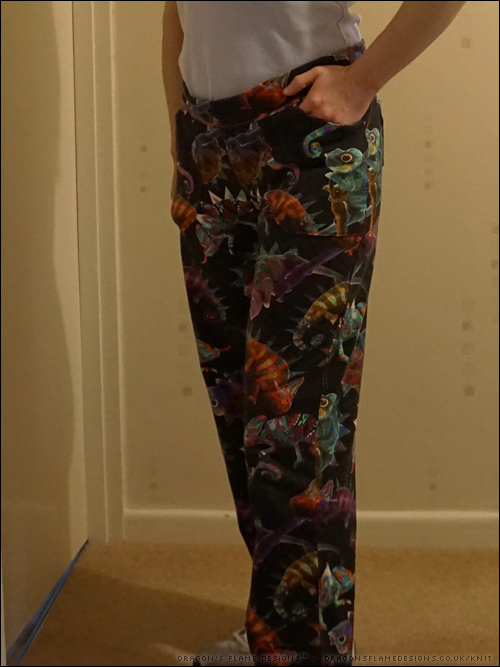 But that mistake and the mess of the back pockets aside, these Zen trousers didn’t come out too terribly. They are really comfy, and hopefully the fabric will have a great glow when it’s dark! I did get a photo of the dragons glowing, although as yet I’ve not been able to get a photo of them glowing while they’re being worn. 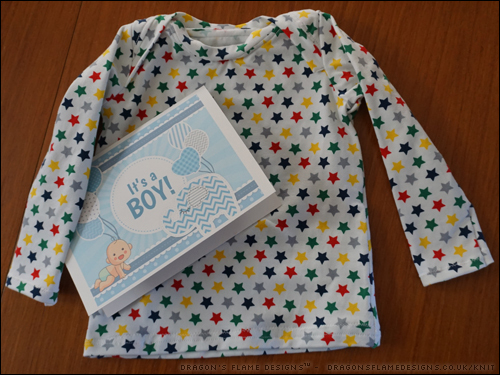 This entry was posted in Clothing, Sewing on October 23, 2018 by Sewist. I couldn’t resist this glow in the dark fabric, but what is the best thing to make from it? In the shop, they suggested pyjamas, but I wanted something I could wear outside in the dark. I could make a t-shirt, but I don’t go outside in the dark until the autumn, and by that point it’s too chilly to be outside without a jumper on! 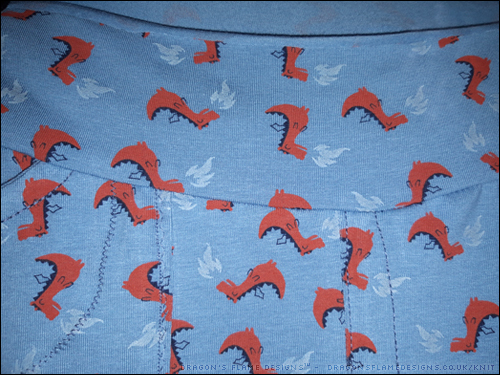 So I settled for another pair of Zen Pants*, as that would be just warm enough to wear outside in autumn…. or at least that’s my aim – we’ll see what happens! My sewing machine did have a few disagreements with the stitches on the back pockets, so they are a bit of a mess. Hopefully my machine will co-operate when I come to finish them though. 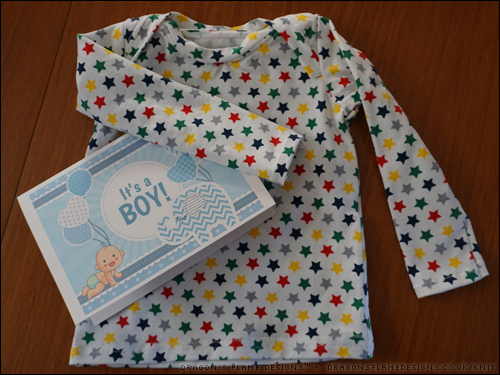 This entry was posted in Clothing, Sewing on October 16, 2018 by Sewist. Zen Chameleons – another finished project! 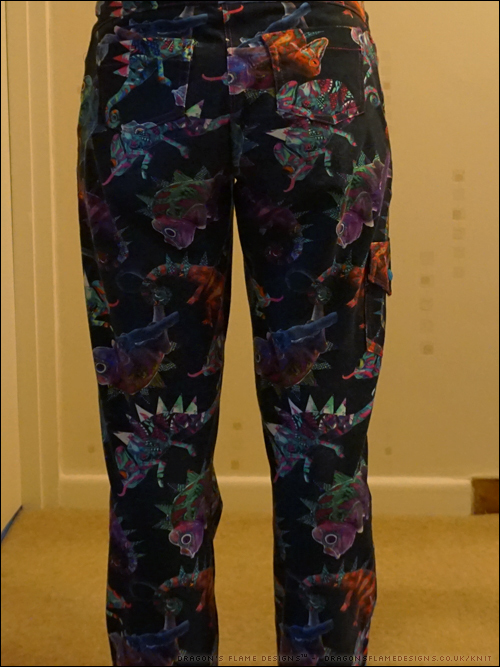 I had a pile of trouser projects needing hemming, so I picked these Zen Pants* out at random so I had something finished this week. 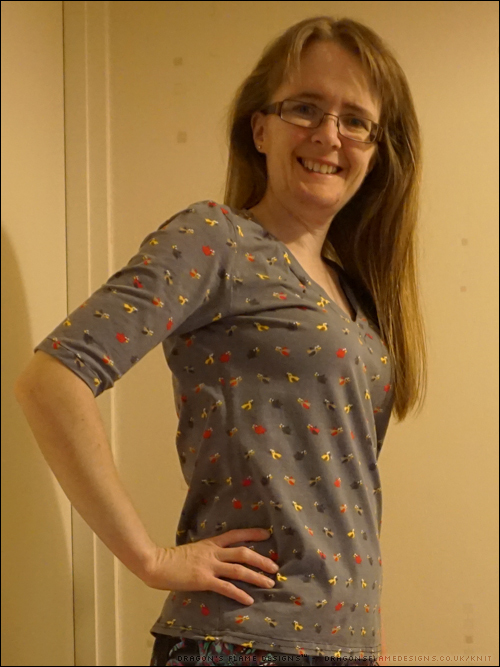 I did make a slight error on the waistband – I didn’t cut the elastic short enough, so the waistband is a little wavy in places. I’ve got around that by folding the elastic over, which disguises it a little. I might try making the low rise next time though, as this mid rise ended up more where the high rise is meant to hit. 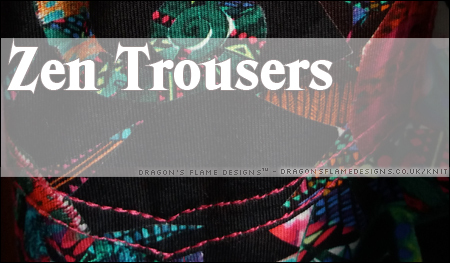 That’s mostly down to my lack of height though – where my advantage is that I can usually squeeze trousers onto a smaller piece of fabric, I do need to learn how to make alterations on the rise…. 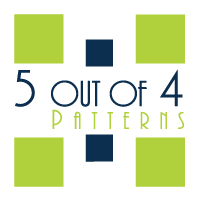 or at least use the lower rise for patterns where there’s multiple options. These are really comfortable to wear, and the wavy elastic isn’t something I’ve noticed, so that’s not anywhere near the problem I thought it could be. 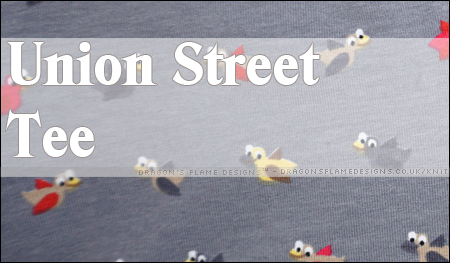 This entry was posted in Clothing, Sewing and tagged 5oo4, Chameleon, clothing, cotton lycra, sewing, Trousers, Zen on October 9, 2018 by Sewist. Strawberry – another completed project! It’s taken me a little while to get back to finish this Button Up*, but it was worth taking my time on! I had the idea of adding in piping to the armholes instead of using bias binding, which worked much better. The piping adds just enough interest to the arm, without making the seams too bulky. 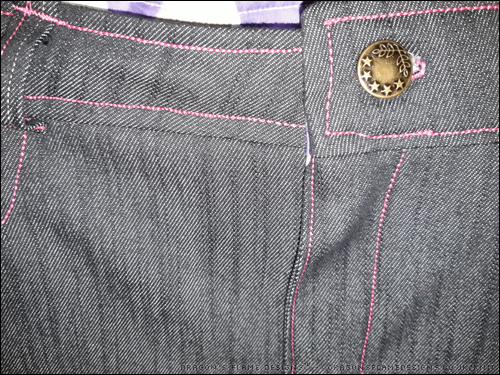 Rather than adding in poppers again, I bought some fancy buttons and hand stitched them on. The only thing I did do ‘wrong’ was the orientation of the buttonholes – I stitched mine horizontally, but afterwards realised that shirt buttonholes are usually vertical! But it is a perfectly wearable and comfortable shirt – I just hope we get a lot more hot weather so I can wear it! 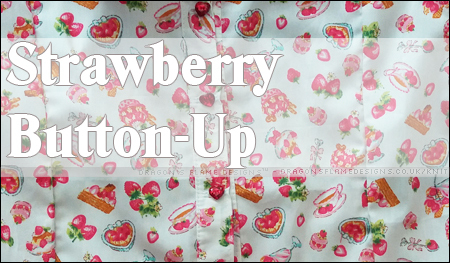 This entry was posted in Clothing, Sewing and tagged button-up, clothing, sewing, shirt, strawberry, Winterwear Designs on September 25, 2018 by Sewist.